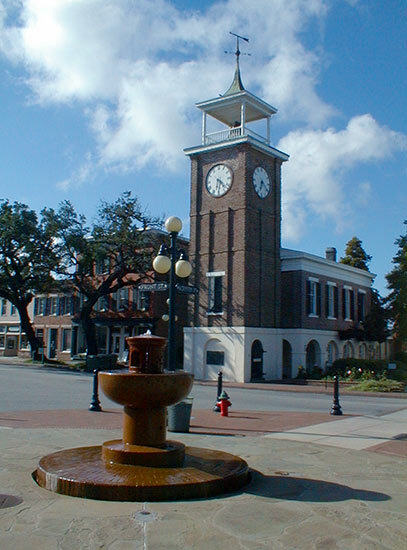 Located on historic Front Street in Georgetown, the Georgetown Rice Museum and the adjacent historic Kaminski Hardware Building present the history of the Georgetown-region rice empire. click large picture to cycle through the gallery. 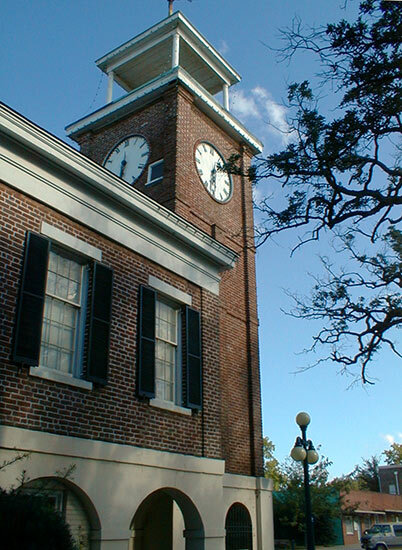 The Georgetown Rice Museum is located in the Old Market Building which is topped by the towering Town Clock - this historic port city's most familiar landmark. The museum interprets Georgetown County's rice empire, which made area rice planters some of the wealthiest and most influential people in South Carolina during the 18th and 19th centuries. By 1840, Georgetown County was the largest rice-producing county in the nation. Rice planting also gave Georgetown County one of the largest slave populations in the United States. The rice museum uses exhibits, dioramas and historic artifacts to chronicle the lifestyles and cultures of the rice-planting era. Adjacent to the Rice Museum, in the historic Kaminski Hardware Building, is the Browns Ferry Vessel built in the early 1700s, which is reputed to be the oldest vessel on exhibit in the nation. The 50-foot-long craft was a general-purpose freight boat used on South Carolina rivers and coastal waterways during the Colonial Era. The historic vessel was discovered in the Black River nearby in 1976 and was reconstructed by the S.C. Department of Archaeology and Anthropology at the University of South Carolina. Rotating exhibits in the Rice Museum and the Kaminski Hardware Building deal with the rich history of Georgetown County, and also features artwork from area artists. A brief film, "The Garden of Gold," traces the history of the South Carolina rice empire.